Sharri graduated from East Valley high school and went on to receive a degree in education. She has been investing in property for 25 years and currently holds professional designations of Certified Residential Specialist (CRS), Accredited Buyers Representative (ABR) & Senior Real Estate Specialist (SRES). Sharri is also Past President for the Yakima Association of Realtors and a Director for the Washington Association of Realtors. 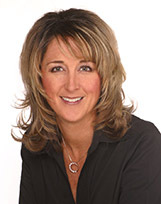 In 2010 Sharri won the Realtor Achievement Award and The Entrepreneur of the Year Award for her local Realtor association. In 2011 she was named as the Certified Residential Specialist of the year for WA. In 2013 she was the Realtor of the Year for the Yakima Association of Realtors. Born and raised in Yakima, Sharri has great knowledge of the area. She has 2 wonderful daughters and many other family members in the area. They like to spend their time boating, snow skiing, motorcycling and scuba diving. I believe that the relationship between and agent and their client should be viewed as a partnership. Buying and/or selling property can be a very stressful process. I aim to reduce that stress by involving you in every step of the transaction, by providing you with constant communication and keeping you well informed of what is happening. Real estate is not just a career choice for me, it is my passion. I hope to not only meet my client's expectations, but exceed them and create both positive experiences and a relationship that will last a lifetime.